Spline: type = regularized, weight = 0.1, number of points = 12. This produced a similar break around the halfway point between the known data, suggesting some form of distance limit, but also introduced 'corrugations' on the shore side, which I assume are due to undulations at the lake shore being extrapolated and magnified. 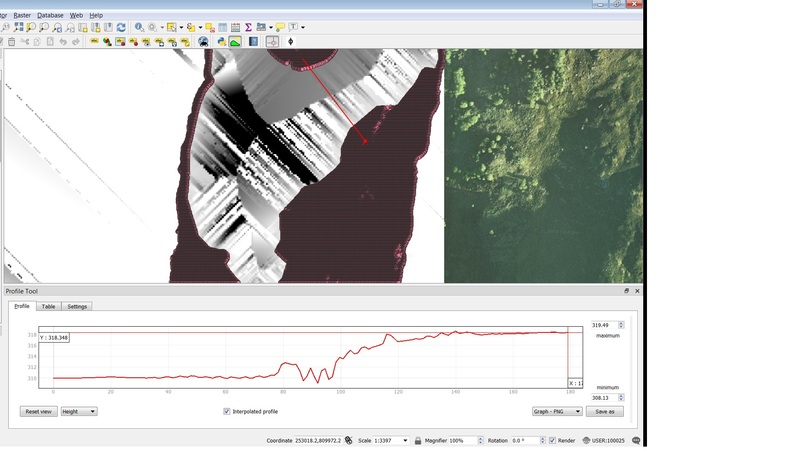 Views are shown in the images below overlain with the original point data from combined topo/bathymetry (done in QGIS so I could use the Profile tool). I don't know what the shape of the profile should be but would assume than a straight line interpolation or maybe an S-curve would be more realistic than a steep cliff which both methods are producing at the moment. Just wondering if anyone out there has faced a similar problem and what worked for them? Browse other questions tagged arcgis-desktop interpolation bathymetry inverse-distance-weighted spline or ask your own question. How can I get the value of a point that falls between 2 points of another layer? 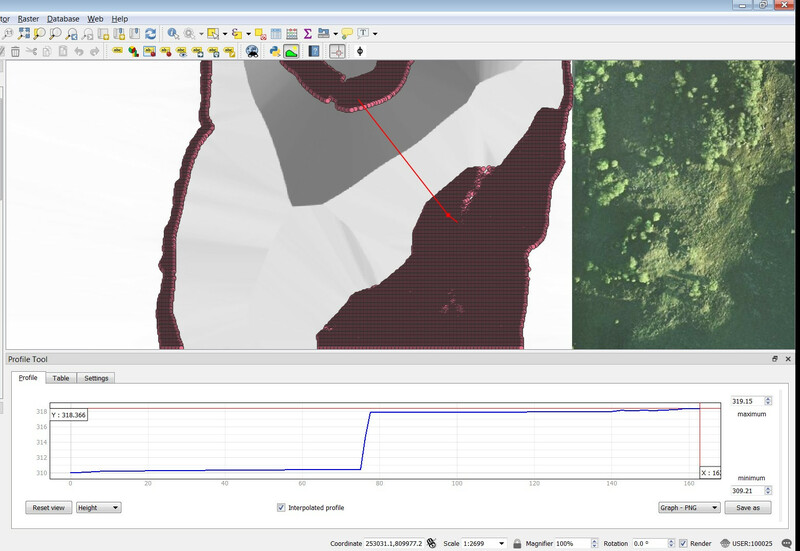 Which interpolation technique is suitable for a bathymetry of a small lake? Tool for linear interpolation with a mask?